One of the abiding legacies of modernist poetry is the figure of the poet as rebellious intellectual, eager to dissolve pieties that typify the status quo. Another legacy, carried over from Romanticism, is that of the poet as force of counterenlightenment, vesting poetry with the task of binding and reenchanting communal life in the face of scientific materialism and economic liberalism. The manifestation of these tendencies spanned left to right on the political spectrum. Williams’s Spring and All might want to rescue the rose from the accreted associations of science and “poetry,” but it also describes the modernist revolution of the imagination in the language of eschatology, and cinemas as descendants of cathedrals. Pound’s The Cantos is simultaneously a schoolbook for princes at the nonaccredited Ezuversity and a discerning reader’s initiation into the Eleusinian mysteries. The coexistence of intellectual iconoclasm and enchantment differs from the dialectic of doubt and faith in devotional verse because the modernist poet asserts a measure of control over divine forces. 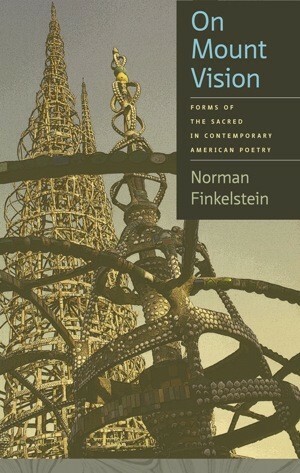 Importing this problematic to contemporary poetry, Norman Finkelstein’s On Mount Vision: Forms of the Sacred in Contemporary American Poetry advances the argument that American experimental poets continue to dwell on the sacred, even in a secular age. Finkelstein’s preference for the categorical term “experimental” over “avant-garde” and “postmodern” preserves this coexistence, figuring formally radical poetry as rogue lab work. In other words, not only is religious experience still relevant, but it is also the concern of poetic communities that privilege innovation. The book’s author-centered chapters demonstrate that conviction about the necessary cultural role of sacral thought has fed off old traditions of dissident religious movements. Finkelstein draws on Steven M. Wasserstrom’s idea of religion after religion, the theosophy-like integration of beliefs from numerous religions in the name of a higher unity, in order to suggest a canon of American poets concerned with forms of the sacred: Robert Duncan, Ronald Johnson, Jack Spicer, Susan Howe, Michael Palmer, Nathaniel Mackey, and Armand Schwerner. As Finkelstein puts it, representations of the sacred in writings by these poets are “heterodox, syncretic, and revisionary,” frequently steeped in the language and imagery of Gnosticism. Wasserstrom describes the upshot of this higher unity as “a religion resistant to rupture” (qtd. on 6). Finkelstein’s introduction begins in the nineteenth century at the moment when leading writers began to challenge the cultural hegemony of Christianity in favor of radically different modes of religious thought. The founder of this tradition in American literature is Emerson, the lapsed Unitarian, who in 1844 declared poets “liberating gods.” Their newly asserted power entailed, according to Finkelstein, “an emphasis on the spirituality of things as revealed by the poet, and on the eternal embodied in the immediate and in the person of the American individual, as opposed to the ‘play,’ or drama of the Christian alpha and omega, Genesis and Apocalypse” (9). Commonly enough, Finkelstein identifies Whitman and Dickinson as poets who aspire to assume the power promised by Emerson. 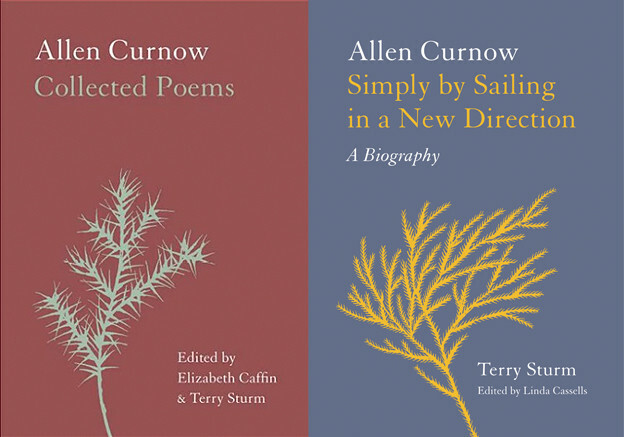 Through a reading of several poems by both, he also provides a new account of how their dynamic and transgressive relations to the sacred involve preoccupations — materiality, ordinariness, and the self’s lack of integrity — that would become ubiquitous in twentieth-century poetry, especially among the postwar avant-garde. Modernists placed in the same orbit are Stevens, Crane, and, most influentially, H.D., whose pride of place is a marker of the book’s timeliness. This line of influence is distinguished from the one connecting Arnold and Eliot, which locates religious authority outside the self and holds art up to standards set by religion. In addition to Wasserstrom, Finkelstein’s commitments in defining terms like “sacred” and “religion” rest with Harold Bloom and Eric Santner. Throughout his career, Bloom has forcefully argued for the dependence of religion on the resources of poetry, and hence for poetry’s conceptual precedence. According to Finkelstein, this makes poetry the choice cultural medium through which to effect widespread change in perceptions of the sacred. Likewise, Santner proposes what he calls a “psychotheology” derived from Freud and Rosenzweig that purports to model how this change occurs: namely, by discovering “remnants,” or thoughts, feelings, and myths that open a vista onto that which the prevailing social and cosmic order cannot accommodate. In Trilogy, Finkelstein reminds us, H.D. characterizes poets as the “living remnant // of the inner band / of the sanctuaries initiate” (25), where “living remnant” is both a loaded, layered Gnostic phrase and a generative paradox. The three tropes that generate psychotheological poetry, which are interwoven throughout the book’s chapters, are the poet as medium of divinity (prophet, Spicer’s radio, spiritualist, shaman, translator), as Orphic artificer of kosmos, and as imperfect subject of gnosis. With the exception of Spicer’s poems, the key texts date from the 1970s or later, up to Nathaniel Mackey’s Splay Anthem (2006), as a result of which the book’s purchase is remarkably current. Chapter 1 argues that the radical stylistic shift in late Duncan — specifically, the two volumes of Ground Work — represents his attempt to write serial poems that approach the form of scripture, enacting the poet’s self-sacrifice as a means to salvation. Here and in the following chapters, care is taken to distinguish between poetry that interprets or reflects religious experience — and hence can meet the approval of critics like Arnold or Eliot — and poetry like Duncan’s that purports to enact religious experience formally (15). To this end, chapter 1 also gives an interesting account of Duncan’s debt to Stein’s compositional techniques, linking scripture to écriture. Chapter 2 details Ronald Johnson’s relationship to Duncan and explores the architecture of Johnson’s ARK as an Orphic melding of cosmic and natural history with Objectivist influences. Interweaving backward glances to Dickinson and forward glances to Howe, chapter 3 explores Spicer’s concept of dictation through the theologies of Gnosticism and Calvinism, arguing that his overriding poetic concern is the painful otherness of divinity and grace. Chapter 4 frames a range of Howe’s writing, from My Emily Dickinson through The Nonconformist’s Memorial,with reference to the forum of a particular type of medium, the spiritualist séance. What he adds to the growing critical literature on Howe is a valuable discussion of the play between attraction and repulsion to sacred violence, compounded by anxieties about complicity in the histories her books revive. Leaving Howe’s Protestant conception of antinomianism for one that signifies rigorous skepticism about any belief system, chapter 5 argues that opposition to linguistic and metaphysical orthodoxy is Michael Palmer’s form of heresy, in which intimations of divine presence are whittled down to their own absence. Particularly under attack is the figure of the lyric poet as prophet. According to Finkelstein, Palmer’s Sun is the culmination of the trajectory of this attack, stretching from Baudelaire’s heroic rejection of aura and the modernist poet’s heroic self-sacrifice into the poem to Palmer’s foregoing of heroism entirely for the vagaries of the Derridean trace. The sacred becomes indistinguishable from the continual rendering of disillusionment in poetic form. Chapter 6 considers Nathaniel Mackey as a shaman, or, in the terms of ethnopoetics, a “technician of the sacred,” bent on mass healing and the establishment of a collective mythology that blends the belief systems of the African Diaspora with the cosmogonic spiritual exile fundamental to Gnosticism. The interplay between Mackey’s two ongoing serial poems, “mu” and Song of the Andoumboulou,signifies physical and spiritual travel between utopian spaces and the legacy of historical catastrophe. 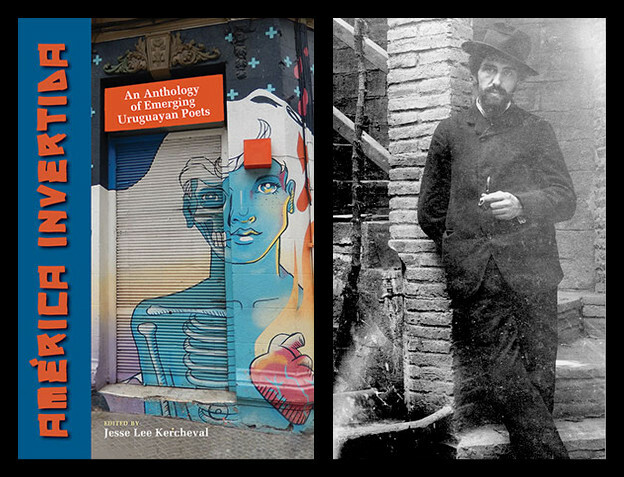 Chapter 7 concentrates on a poet whose attraction to ethnopoetics is conditioned by a more ironic stance toward archaic records of sacred discourse, Armand Schwerner. Finkelstein argues that Schwerner’s The Tablets, a critique and parody of modernist archaeologism, is an elegy for what Derrida calls “the civilization of the book” that probes the complexity of “translating” revelation into intelligibility. Schwerner’s poetics applies Stevens’ approach to the “real” to the historical and mythical materials of Eliot and Pound, circumventing their nostalgia for the completeness of older belief systems. The book also left me with questions about national poetries and periodization. When Finkelstein introduces Emerson as the writer who “establishes the American difference in literature” (7), I wanted to ask to what if any degree the book’s selection of forms of the sacred subscribes to a version of American exceptionalism. What would it mean to say that experimental poets in search of sacred truths are shaped by decisively national forces? Is it possible that these forms’ idiosyncratic configurations of belief match a theological (or theologized) individualism that prevails among Americans generally? Harold Bloom’s The American Religion, which Finkelstein mentions briefly in another regard, speculates that American-born Christian denominations are theologically akin to Gnosticism, whereas Charles Taylor argues that the mixture of sacred and profane is endemic to life throughout the West in a secular age. Taylor offers the example of Christian scriptural literalists who use putatively scientific methods to discern the calendar date of the Creation four thousand years ago. In other words, are these forms of the sacred uniquely American, and if so, why? Does that mean that H.D.’s Gnostic modernism is importantly American, despite her expatriation? These questions are meant to suggest a few directions for further inquiry, and to bring the book’s successes into sharp relief. Finkelstein pushes back against the idea that religion is dead, intellectually retrograde, or, according to numerous species of ideological critique, empty. He establishes beyond doubt the importance of religious expression to considerations of what is vital in contemporary American poetry. And, as he points out in his chapter on Nathaniel Mackey, with the resurgence of religious justifications for domestic and international political conflict, the need to gain a better understanding of how different forms of the sacred function in culture is only growing. The alertness and detail of his readings, their mapping out of the finer points of elaborate personal mythologies, and the convincing construction of a larger literary tradition into which contemporary poets fall significantly improve our ability to frame our engagement with a wide range of poems. Regardless of conceptual priority, the history of religion is crucial to understanding the development of modern poetry, and, as On Mount Vision affirms, present forms of the sacred are as numerous as ever. 1. Norman Finkelstein, On Mount Vision: Forms of the Sacred in Contemporary American Poetry (Iowa City: University of Iowa Press, 2010), 7. 2. Bruce Lincoln, Holy Terrors: Thinking About Religion After September 11 (Chicago: University of Chicago Press, 2003), 18, 26. 3. Harold Bloom, The American Religion: The Emergence of the Post-Christian Nation (New York: Simon and Schuster, 1992). 4. Charles Taylor, A Secular Age (Cambridge: Belknap, 2007).